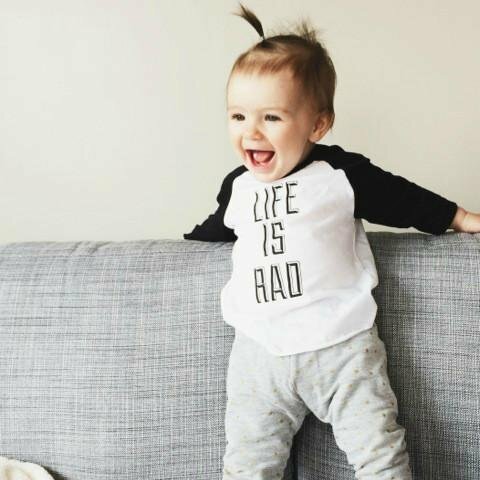 Life is Rad baby baseball tee in white and black by Locomotive Clothing & Supply. 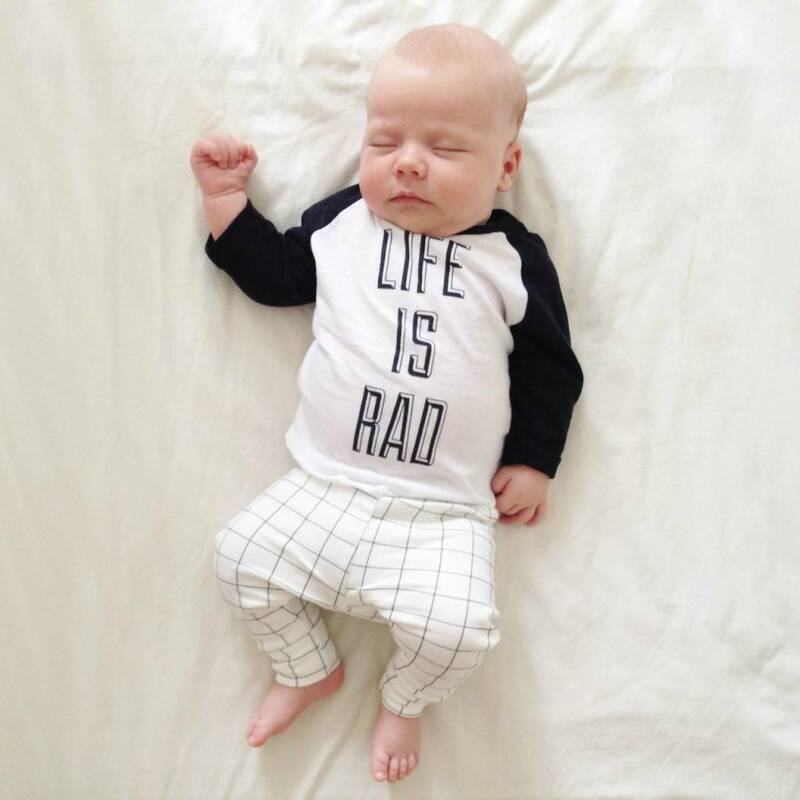 This Life is Rad baby baseball tee is made for a sweet little man or lady. 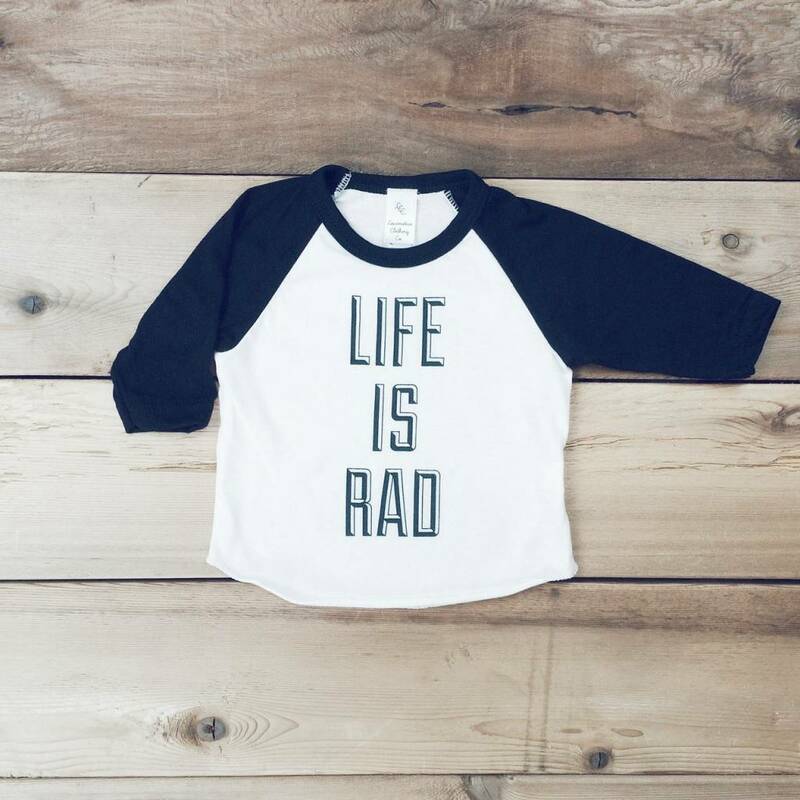 Ultra cute, modern and gender neutral the soft tri-blend , vintage style baseball tee has black sleeves and a black Life is Rad print. Printed in-house and by hand in Vancouver, BC by Locomotive Clothing & Supply. The tri-blend fabric of this shirt is a 6oz poly/cotton/rayon (50/25/25) so please wash in cold water and hang to dry.